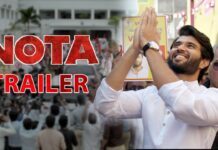 The young hero Vijay Deverakonda’s debut What The F as a playback singer, was released yesterday amid a lot of hype and expectations. The What The F Song was expected to take the buzz surrounding the film to the next level. However, fans and music lovers didn’t give a thumbs up to the song. Music lovers didn’t appreciate the controversial What The F lyrics that belittled women. As a result, What The F Song has been removed from YouTube by the makers. 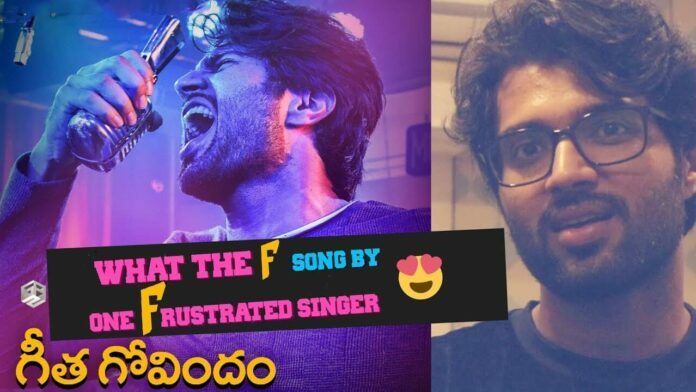 Explaining why the What The F Song was taken down from YouTube, the What The F Song lyricist Sree Mani revealed that it was never their intention to demean women. “We will change the lyrics with appropriate words and restore the song very soon,” said Sree Mani. Kannada starlet Rashmika Mandanna is the leading lady in Geetha Govindam. 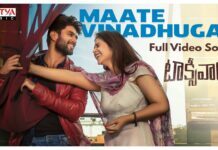 The film’s audio album, composed by Gopi Sundar, will be out on July 29. Parasuram has directed the movie and Bunny Vas has produced it. Allu Aravind is the presenter for the movie. 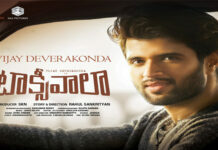 Geetha Govindam will be opening in cinemas on August 15.